This Paris model sets itself above the rest with premium LOCATION, ideal Northeast exposure, panoramic views of golf course, and patio sunsets, Salt System free form pool, Bose outdoor sound system, the only Paris model listed with Outdoor kitchen complete with television, grill and refrigerator. Therapeutic spa also stays! Abundance of natural light flows into this home for bright and light feel. Larger downstairs bedroom than regular Paris model, higher end appliances including Bosch dishwasher, door in door refrigerator. Entire home is immaculately maintained. 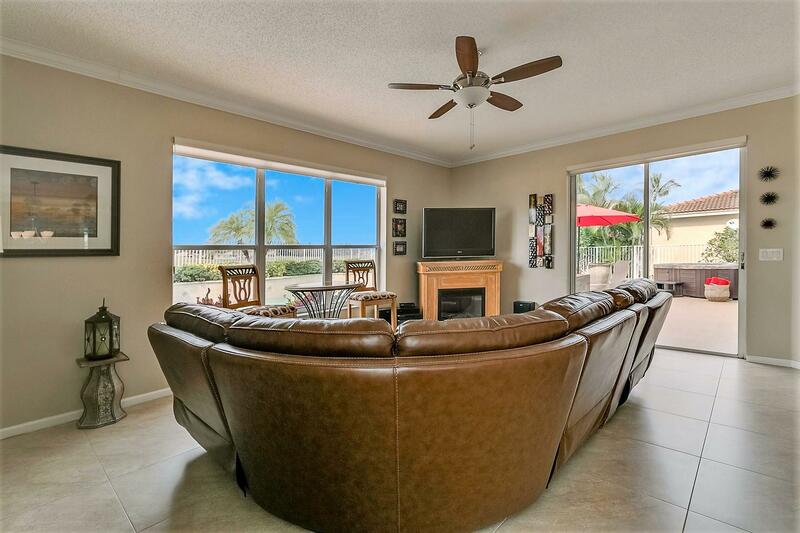 Beautiful home for family to enjoy, as well as, great for entertaining on the expansive patio. Guard-gated community, close to schools, and shopping.